I planted one today and I'm wondering if they require any particular soil type..or care. Maybe an acid soil?? yes, using an acidic soil is great and use fertilizer for acid loving plants. 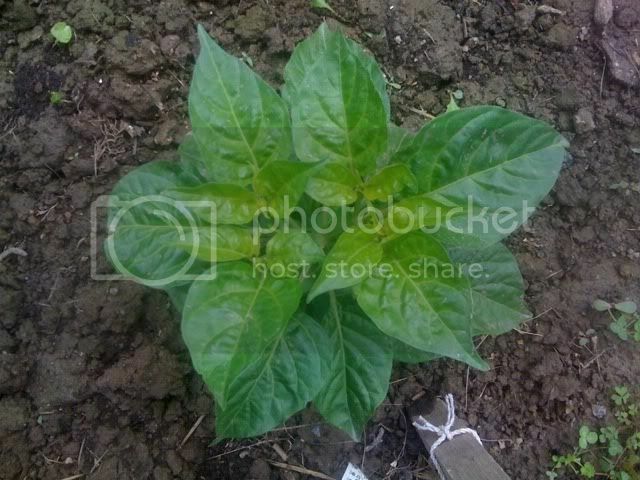 its my first year growing a bhut also, what type of things could be added to the soil to make it acidic? I know coffee grounds, is there anything else? 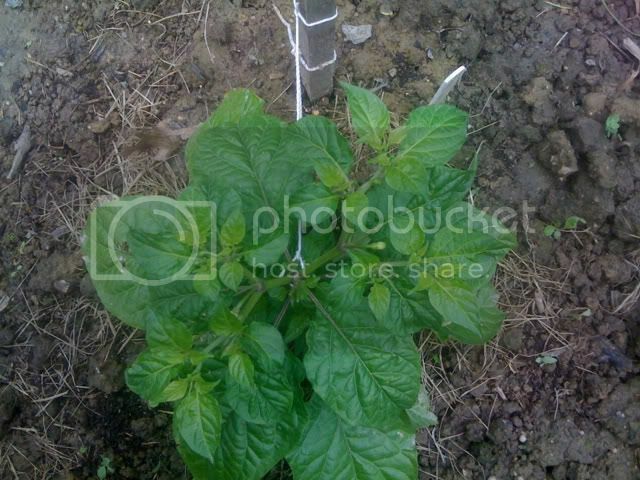 Also my bhut is only about 7 inches tall, its looking pretty good, but its already flowering. I cut off one flower already and few more look like theyre about to open. Was I right when I cut it, and should I cut the next few until its bigger? Or wouldve it been better to let nature do its thing? 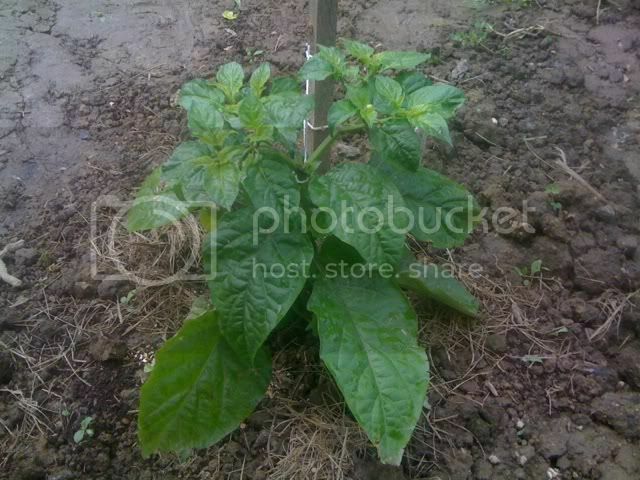 If a pepper is ready to produce fruit, it will. If it isn't, the blossom will fall off. As long as the plant has enough nuits it will be able to grow and produce fruit at the same time. I'm growing some this year for the first time. as far as soil, I'm using compost we picked up from our county recycling center for the outdoor beds, but i haven't transplanted them there yet, i hope it does the trick. i've been pinching off flower buds but plan to stop this weekend when i put them outside in their raised beds. i hope this isn't harming them, they seem pretty healthy. 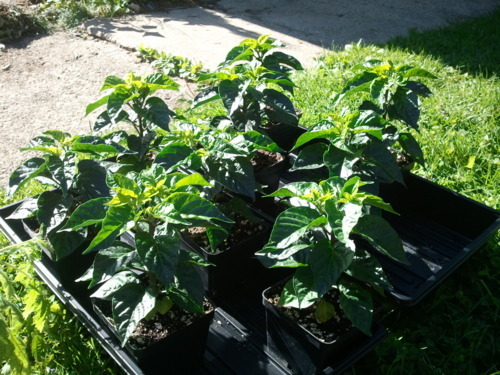 are you all starting from seed, or did you buy pre-started bhut's? I have bought seed previously, none of which lived. And I am starting to grow weary to buying anymore because so many people complain that they are sold what is supposed to be a Bhut, but usually turns out to be another type of pepper all together. Anyone know of any reputable online/mail order places that have Bhut? I bought mine from my local garden center, it was about 5", it was kinda expensive though, 10 bucks. but why are you all cutting off the flowers... Mine are in pots but they are still only about 2 inches tall..
nice ed! i hope to get some other varieties going next year. i started mine from seed, but have also heard a ton of stories of people who thought they were getting bhut jolokia but got something else, so we'll see what happens. i didn't do any research before ordering from this seller, so if they turn out bad i'll probably try to order seeds from the chili pepper institute next year. i was pinching buds because...heh...because i don't know anything about growing plants. this is my first attempt at growing anything, but i read some things that said it is a good thing to do while they are still inside under grow lights. i've since found just as many people who say it's not necessary. so who knows, we'll see what happens, the internet is full of strange and interesting information. Alright, time for me to chime in on this one. There seems to be a lot of confusion on these peppers. 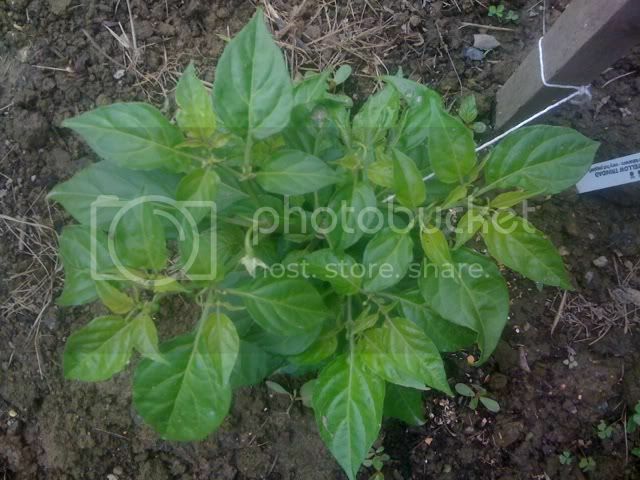 2) Use an organic soil, as Nitrogen is bad for Bhut's. I use an organic soil and fertilize 5-10-10. You can also find some 1-2-2 that should suffice. 3) Do NOT over water. Wait until the leaves are wilting or almost wilting. I actually go against advice from UNM and let my soil completely dry out, and then water it. Most people just wait until the top is dry and then water. 4) Allow the plant to adjust slowly to the increased light, after leaves appear (I actually keep in dark humid container until 2 sets appear) then let them outside for 30 minutes, then 1 hour the next day, 1 hr 30 minutes the 3rd day, so on..
5) Plant them early, they have an insane maturity time, so if you planted them May 20th you might wanna invest in a real nice indoor CFL or MH system. 6) Keep them between 80-90F. This varies, I think UNM say's 75-85 preferred, but I keep my indoor system at 90-95 and they do great. I planted it last year in May and it started to flower in September. The weather got cold and I lost the blossoms. I kept the plant alive over the winter and now it's in second summer. It's in a 2 gallon pot, and the plant is about 11 to 12 inches tall at it's peak and at least as wide. It has about 40 blossoms on it, but it has not flowered yet. I use a kitchen thermoniter to make sure that the plant doesn't get too warm when it's in direct sun. I usually pull it inside when the soil temp. hits about 92 then give it a quick shot of water to make sure that it stays under 95 degrees. I'm concerned that it needs a bigger pot, but I would not be able to get it inside when it's cool if I went too much bigger. Does anybody have any advice on how to get this guy to actually produce some peppers? It feels like it wants to, but something seems lacking. I am trying for the first time to grow them this year as well. I think I started late though in planting the seeds. Started in March and probbally should have started in Nov. I have them outside in pots and they are doing pretty good but only about 3 inches high so far.. After reading up on them I know they like the heat and dry weather and do take a long time to produce so I am expecting to hoefully get some fruit by September..